PJ Joined the CVVS Team in 2014 through the years he has been an irreplaceable member of our team, though he is not a huge fan of our canine patients he does his best to brighten the day of everyone who walks through the door. When you visit our office you might find PJ enjoying a nap in the Reception building or in the flower bed. 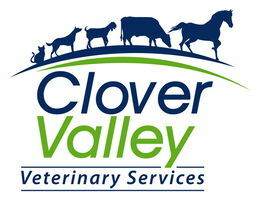 In the evenings PJ enjoys long walks up to the Clover Valley Riding Center where he and the other felines compete in judging competitions during riding lessons.